Every year, millions of Americans receive a diagnosis of a substance use disorder (SUD). If your problem with drug or alcohol abuse is sacrificing the quality of your life, it’s time to find professional help. The condition you’re fighting will not go away on its own, but it could grow worse. Give yourself a chance at a full recovery by finding a rehab that can provide you with comprehensive and compassionate care. Also known as a drug use disorder, a SUD is a condition that occurs when regular use of drugs or alcohol results in significant clinical and functional damage. This can include impairment to one’s health, certain disabilities, and failures to meet one’s personal and professional obligations. A diagnosis of a substance use disorder occurs through evidence of impaired control, questionable use, and pharmacological precedent. The continued abuse of any psychoactive substance can result in extreme consequences to one’s physical and emotional health. It can also cause harm to users and the people they come in contact with. To decrease your chances for unnecessary hardships and possible tragedy, start searching for substance use disorder treatment. Not all rehab centers provide the same level of care, so take your time deciding on the right one. Before signing your name at any facility, look for certain qualities that indicate superior services. Supervised detox in a medical setting is the safest and most comfortable method for managing the withdrawal process. Once detox is complete, you’ll be ready to begin treatment with a clearer head. If you’re using drug or alcohol abuse as a coping method or to escape reality, therapy with a qualified psychologist can help. To encourage real and lasting results, you need to work through any personal problems that fuel your abusive tendencies. Otherwise, you’re likely to return to substance abuse once treatment comes to an end. 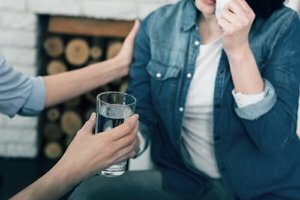 For rehab to work, you need a treatment plan that specifically for you according to your unique recovery needs and weaknesses. You can determine these needs by taking into account your history with addiction and the experiences that have brought you to this point. A physician and psychologist can help identify your needs upon arrival. Then, they devise a plan before treatment begins. For top-level substance use disorder treatment, enroll at Woodlands Recovery enters near Houston, Texas. Our detox and substance abuse recovery center can help you get sober and learn lifelong relapse prevention skills. You don’t have to flip-flop between sobriety and relapse. Get help with your substance use disorder before you experience an unfortunate consequence or tragedy. The professionals at Woodland Recovery Centers near Houston, Texas, can help you transition into a life of sobriety. Learn more about this exciting opportunity by reaching out at 855-752-3377. Our admissions counselors are eager to answer any questions you may have about beginning your journey towards a safe and lasting rehabilitation.